9-0 Jaguars at the half, and the Steelers looked all kinds of stymied. 16-6 Jaguars after three quarters with Ben dealing out INTs like candy, once again (like last regular season when these two teams met), to the Jags defense. It looked doomed for the Steelers all day. With 5+ minutes left, the Steelers drove down for a TD. They then held the Jags to a three and out and had 1:42 to go downfield for the tie or the win. The Steelers got down to the goal line and were running a fake option-pitch to the RB that was really a set up for a shuttle pass to the TE in the interior, but Ben Roethlisberger saved the day noticing that the play was snuffed out and tugboat Ben headed towards the end zone. He got hit but dove forward and reached the goal line by a hair for the improbably game-winner with :03 seconds left. The Jags squashed the Steelers for 55 minutes but blew it all in the last five minutes. The Steelers have won six in-a-row and seven of their last 8 games. At 7-2-1, they have a strong push for the #1 or #2 seed in the AFC now. If they beat New England Week 15 (at PIT), they might get a 1st-round bye this year…and may send NE into the wild card round as the #3 seed. We are projecting they will beat NE and wind up 11-4-1 and the #2 seed over 11-5 New England. Jacksonville has fleeting playoff hopes now…this game really killed them off. If they can win their next three BUF-IND-TEN in-a-row, they could go on to win five in-a-row (WAS-MIA) and have a chance at 9-7 in the end – but we project them to finish 5-11. One more loss…when Jacksonville falls, they will go into the tank. They kinda already have (losers of six straight). -- Nothing to worry about with Big Ben (27-47 for 314, 2 TDs/3 INTs) and James Conner (9-25-0, 6-24-0/9). It was just ‘one of those games’. Ben was bottled up for 3+ quarters before breaking free…against a good Jags D that can be great when they want. The Jags had an amazing 38-22 minute time of possession advantage…the constant interceptions threw off any semblance of sustained drives or a running game. -- Vance McDonald IS a decent/useful TE1. A TD in this game, and his last game…and he was the target of the game-winning shuffle pass TD to end this game, but Ben (smartly) pulled it back and ran for the TD. Almost had a two-fer of TDs here. His last 5 games…all with 3 or more catches and averaging 4.0 rec. (5.5 targets), 42.2 yards, 0.40 TDs per game. You could do worse (like Evan Engram). 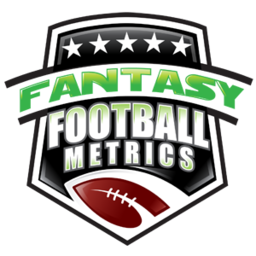 -- Leonard Fournette (28-95-1, 2-46-0/2) is getting by on volume, and that’s good for FF…but the internal numbers/metrics are scary – 2.9 yards per carry in his two games since his return from injury. The Jags O-Line is absolutely decimated with injury. As long as he keeps getting 20+ carries he’ll be fine, but boy is it not pretty. Not his fault…he’s in the David Johnson Arizona-2018 offense, only worse. Just like with DJ…if he doesn’t get the TD, he’s a fantasy dud. Fournette played 35 snaps and ran the ball 28 times and had two catches. It’s safe to assume when he’s in the game he’s getting the ball. I’m sure defenses will make them pay for this if they keep this up. If the Jags fall out of the race…why would they push LF 20+ carries in games? And if Fournette is getting 12-15 carries…he’s getting less than 50 rushing yards and his fantasy ship sinks. Just something I thought you’d like to worry about. Would you be so kind as to click this link to then do your Amazon shopping and/or click this link and SAVE it as your ‘favorite’ for your quick access Amazon access. Once saved as your Amazon fave or main screen icon,etc., then we’re good-to-go every time you use Amazon – then we get credit for your purchases as your shopping experience is unaffected. 10-30 seconds of your time but a very helpful thing for us –aren’t I worth less than a minute of your time? Click (below) this link to pull up your Amazon home page(but is our special web address/URL with Amazon) and then save as ‘fave’ or use like normal. Nothing else needed to do. -- Donte Moncrief (1-11-0/2) caught the first pass of the game for the Jags and never caught a pass the other 59 minutes of play. How can you trust him any given week? It’s not his fault. He’ll have Tre’Davious White on him Week 12…so a ‘zero’ might be coming. Great defense at times, but pretty down this year…and, now, their season is almost over/probably over. I don’t know what we’ll get. If they don’t win their next two (BUF, IND) then you’ll have a dead-in-the-eyes defense facing TEN-WAS-MIA Weeks 14-16. That scares me. It should be a great stretch for them but what if they’re not into it? Weeks 12-16…BUF-IND-TEN-WAS-MIA is all good but Indy, but if the Jags beat Buffalo then their life rests upon the Indy game, and maybe that lights a fire. There’s hope here, but they cannot afford another loss. I’m cautiously optimistic they’ll be a decent DST play the rest of the way. If they lose to Buffalo…all hell might break loose with this team/coaching staff. -- Javon Hargrave (6 tackles, 2.0 sacks, 1 PD) had a game. Great numbers, and I’m a fan…but this extra juice was likely due to the Jags losing their starting center, the top NFL center for this game/rest of the season. -- The Steelers-DST has allowed 21 or fewer points to opponents in six straight games. They’ve moved to #10 in PPG allowed this season (22.5). DEN-LAC-OAK the next three weeks…I like it, even the LAC game (at PIT in December).